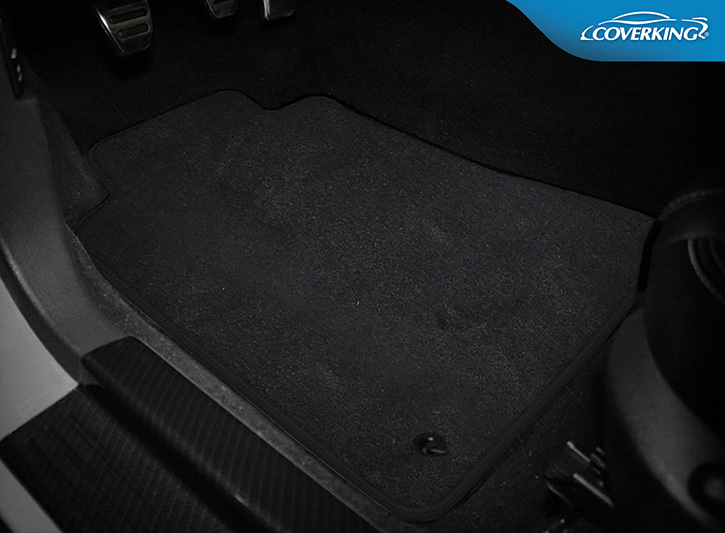 Custom Luxury Plush Designer Floor Mats by Coverking are designed with both luxury and protection in mind. Custom made to order to perfectly fit your vehicle’s footwell, these Luxury Floor Mats offer a deep, soft feel and are treated with Scotchgard™ for excellent protection. Available in three gorgeous colors to match your interior. These stunning Luxury Floor Mats are made to enhance the look and feel of your footwell space. Depending on your vehicle configuration, they can also fit your trunk and other cargo spaces as well. Significantly better designed for vehicle use than stock floor mats, these Luxury Plush Designer Floor Mats use integrated antistatic control to reduce static electricity buildup, are constructed of a heavy, high density nylon topped with velvet carpet for durability, and are backed with non-slip rubber nibs to prevent slipping. General Experience: Need to improve the instructions on the sheet.